A leather jacket is one of the key items in my closet. I never get tired of it, it’s a classic yet cool. 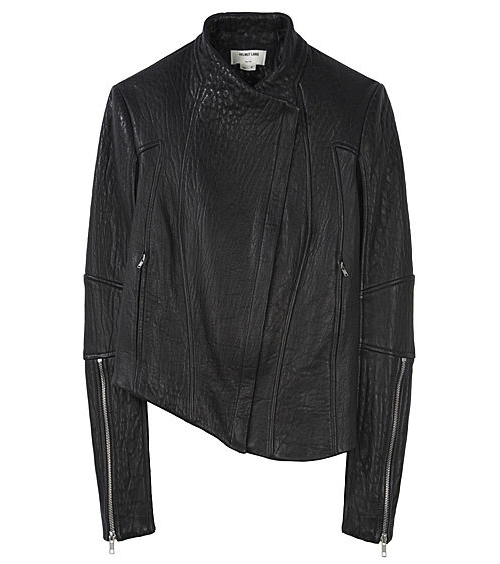 This one from Helmut Lang would be perfect! I like when it looks a little messy like this! The pictures is taken by one of my favorite photographers (which I’ve said of couple of times before hehe) Ellen Von Unwerth. She can really capture that old glamour sensuality. The black and white ones are my favorites! Great contrasts, and a bit of that blurry feeling. Love it! I looove GaGa’s new video “Bad Romance”! The theme, the clothes, the choreography and GaGa herself look amazing:) Just look at her in this picture. Really liking the hair and the sunglasses. Kinda reminds me of her style in the beginning of her career. And seeing her wearing the unbelieveable cool shoes and clothes from Alexander McQueens latest collection, it’s fantastic!